Details coming soon - SAVE THE DATE and be ready for some serious learning and lots of fun with this dynamic, internationally traveling couple. This will be geared towards people with experience in West Coast Swing prior to the event. We suggest that all in attendance already be comfortable with basic 6 count and 8 count moves such as the starter step, sugar push, whip, and basic passes. We are thrilled to be inviting such world-class instructors to teach here in the Central PA area. If you are curious about this event, please do not hesitate to contact us. If you would like to set up a group rate with us, please let us know. Markus & Trendlyon are one of the most dynamic, inspiring and fun loving couples that are hard to take your eyes off of, even on a crowded floor! Markus and Trendlyon are both Swing Dance Champions. Together they travel across the United States and internationally teaching, competing, judging, and performing at National Swing Dance events, in addition to volunteer and community outreach activities. They both routinely place among the top 5 in professional competitive divisions and as performers, their entertainment value is one of kind! A native of Louisiana by way of Texas, Trendlyon discovered her love for dance while she was in junior high. She and her sister were choreographing hip hop dance routines to enter dance competitions and walked away with several wins! While living in Texas, Tren was introduced to swing by a coworker. She took a dance class and was bit by the bug. She has been dancing and competing ever since. Tren’s distinctive dance style makes you stop right in your tracks to observe the preciseness of her moves, her animated smile, energy and enjoyment of the dance. She has competed and placed within the top 5 of some of the most recent Champion Jack and Jill and Strictly Swing competitions in the country. She is also a member of the National Hand Dance Association in Washington, DC. Her talent and love for the dance has led her to teaching hand dance and west coast swing to youth and adults. Markus Smith is an accomplished and award winning dance competitor, choreographer and instructor. 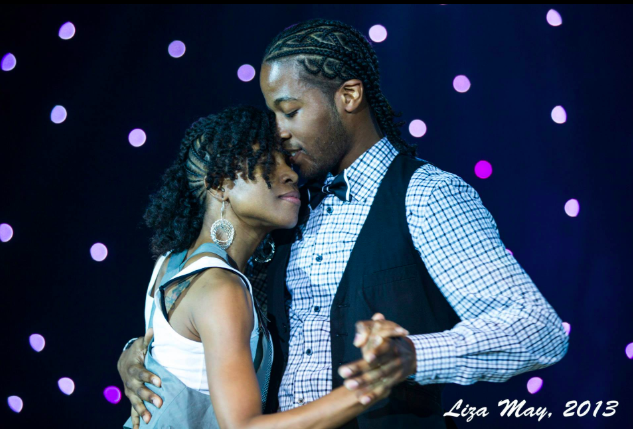 He is one of the most talented, popular and photogenic dancers on the National Swing Dance Circuit. With the unique styles fused from Hand Dance, Hip Hop and West Coast Swing, Markus is quite capable of creating a masterpiece on the floor at any moment. Markus has been featured on Fox’s “So You Think You Can Dance”, BET’s “106 and Park” program, and the movie Love N’ Dancing. He was a co-host of DC DANCING TEENS, a youth hand dance show that has been seen on Globaldancetv and shown on DCTV channel 95 in Washington DC. He is currently the 3rd vice president of the National Hand Dance Association Youth and Young Adult Affairs division. Markus is most passionate about sharing the gift of dance with others. His energy, style and charismatic presentation, leaves Markus in a class by himself.